Nursing students are more likely than others to cheat in their studies, says a recent study, but this can be avoided with the right support. Data gathered by the Times shows UK universities have punished at least 1,706 nursing students over the past three academic years. The data, collected under the Freedom of Information Act, shows nurses were responsible for offences such as plagiarism, collusion and representing others. In contrast, students on other courses were significantly less likely to be caught cheating. The Council of Deans of Health has pointed out this figure represents a tiny minority – less than 1% – of the UK's 70,000 nursing students. Experts say many cases of cheating are due to naivety. As RCN professional lead for education Anne Corrin has pointed out, nursing students come from a variety of educational backgrounds. As a result, not all will be familiar with academic writing conventions that protect against plagiarism. Beverley Ramdeen, lecturer in adult nursing at the University of Hertfordshire, understands the pressures that can lead to deliberate cheating. ‘You might have more than one assignment simultaneously, or family and financial problems and other difficulties. You hear of a friend who bought an essay and nothing happened, so you think of doing the same,’ she says. She advises struggling students to seek support from their university. ‘Engage early, and there will be help available,’ she says. Ms Ramdeen has personal experience of being suspected of plagiarism. She once loaned an essay to a fellow student, who then copied it. The student had behaved similarly with others on the course, and was eventually asked to leave. To help students avoid accusations of cheating and plagiarism, Nursing Standard published a continuing professional development article in 2014. This was written by Bob Price of the Open University. • Assess your study capacity carefully. Make sure you don’t feel pressurised to take shortcuts or cheat through lack of time. • Study your university’s guidance on best practice, including its specific study skills guidance. • Be aware of the increasing diversity of source material, supplying the most comprehensive reference possible. • Avoid separating source material from your own notes. 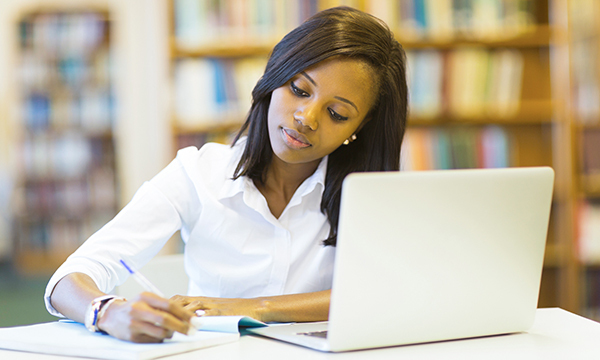 Practise good note-taking and file sources together for each assignment. • Secondary sources should be included in references, with text placed in inverted commas, if quoted directly. • When paraphrasing, take the original author’s main points, but put them into your own words. • Be careful when referring to shared project work. Make sure original contributors are acknowledged and co-owned work is clearly defined.